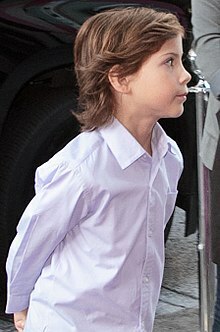 Jacob Tremblay (/ˈtrɒmbleɪ/; born October 5, 2006) is a Canadian child actor. His breakout performance was his starring role as Jack Newsome in Room (2015). He went on to play August Pullman in the drama Wonder (2017). ↑ Coggan, Devan (October 5, 2015). "Brie Larson serenades her Room costar Jacob Tremblay for his 9th birthday". Entertainment Weekly. This page was last changed on 10 August 2018, at 05:48.